Aero Executive is the first in a series of Aero-derivative visual styles for WindowBlinds. 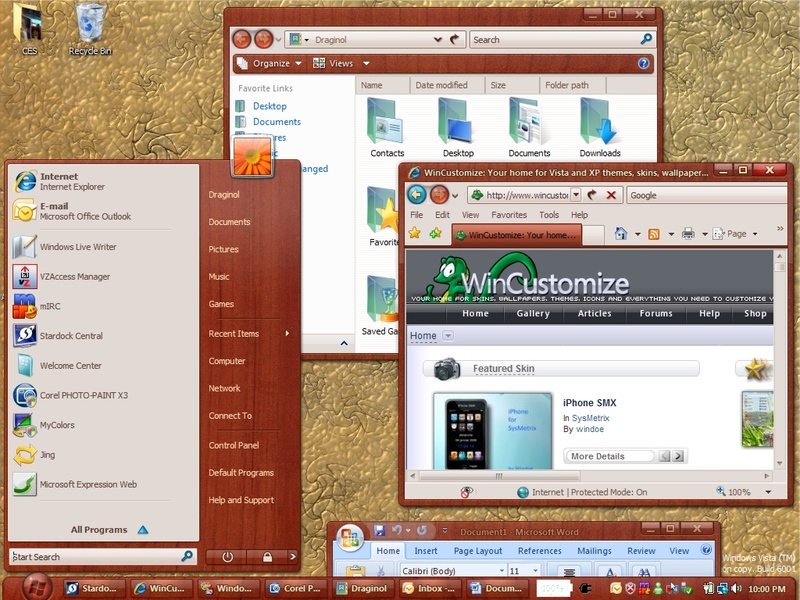 It was designed for Windows Vista and Windows XP and makes full use of the new elements in WindowBlinds 6. It is the latest of the free skin series from Stardock Design. This skin was designed by Vstyler and Frogboy for Stardock Design. This is fantastic to the Nth degree. . . I think the greates stardock skin EVER!!!!!!!!!!!! Kudos to everyone involved in this one! Nice, maybe I make some docks. I like the choice of a rarely used color. Good job. I've told you before but I'll say it again here....grat job, John! Hopefully, somebody who knows what they're doing will make some nice dock backgrounds for this. Hopefully, somebody who knows what they're doing will make some nice dock backgrounds for this. Beautiful! Thank you once again. And docks coming too, great news. vStyler did a fantastic job on this blind proving once again...he's one of the best. messiah, why haven't you uploaded those docks? permission mate, waiting on permission. Don't want to get in troubles. Im going to post the walls.. or have them posted, hold tight folks. Love this skin! Just need the walls and Dock skins and set for life! Good job Stardock Team!